This is Co-Optimus Control to Capsized, you are free to launch on XBLA. Your mission is to explore new worlds in 2 player local and/or online co-op and bring back a launch trailer for all to see. Be strong, and may the Co-Optimus' Mascots go with you. Capsized has been out on PC for a while, but now Xbox 360 fans also have their chance to get the game. Whilst the PC version had local 2 player co-op through the campaign, developer's Alien Trap have extended this to allow for online co-op on XBLA. 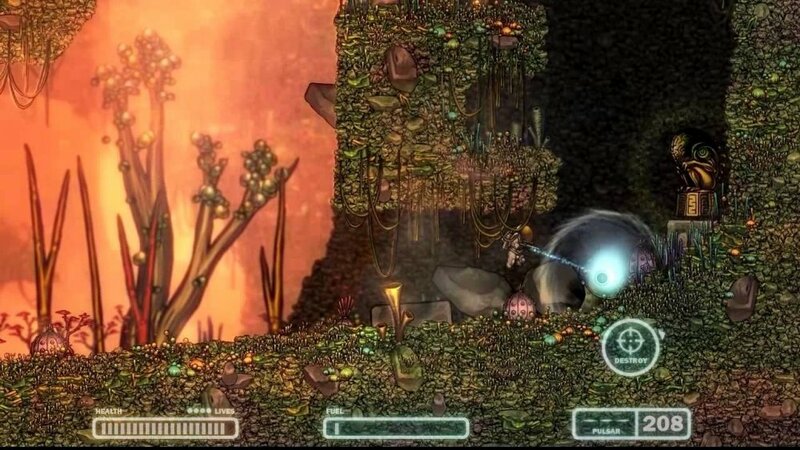 Capsized is a fast-paced 2D action platformer set in an alien world teeming with bizarre life forms and strange landscapes. Your ship crash lands on a mysterious alien planet and you must navigate through perilous environments and fight blood-thirsty creatures to save your crewmates and escape with your lives. Using a grappling hook, jetpack and ship supplies, you fight through hostile landscapes to save fellow shipmates from the planet's Tribal creatures. Capsized combines control elements of first-person shooters with physics-based combat and nods to classic platform games. It has more than a dozen non-linear levels with multiple modes. The Xbox Live version of Capsized also includes three exclusive level and online multiplayer, online multiplayer co-op mode. Capsized is out now on XBLA and coming later this Summer on PSN.